No rigging points for lighting? Ceiling too low? How about a glowing chair to cast a hue in your event space! This unique chair captures people’s attention in an instant, transforming any room into something spectacular and making everyone who sits on it feel very special. 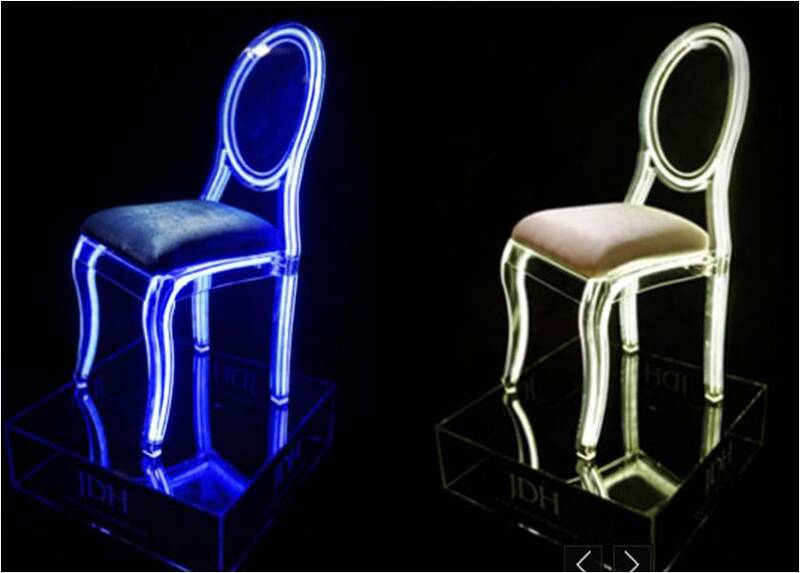 Available in various colors,the Crystal Neon Chair is ideal for the most exclusive interior decoration, from hotels to trendy bars and clubs.